E. Alison Kay at her retirement gathering. As a little girl, E. Alison Kay collected seashells while walking along the beaches of South Kauai. That childhood hobby grew into a lifelong passion and love of the environment, friends say. 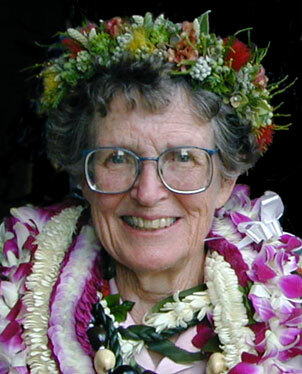 Kay, 79, an emeritus professor at the University of Hawaii at Manoa, was an expert on marine mollusks and an early environmentalist who worked to protect Diamond Head from development. She died Monday at Arcadia Retirement Residence after a long illness, said childhood friend Peg Foster. Kay literally wrote the book on shells in Hawaii, updating Charles Edmondson's "Hawaiian Marine Shells" in 1979. The book is considered the bible on marine mollusks in Hawaii. A species of cowrie, Cypraea alisonae, was named after her, said Regina Kawamoto, a research technician at the Bishop Museum and a former student. State regulations to protect opihi by limiting the size of opihi that can be gathered are based on Kay's research. She also conducted research in the Marshall Islands on the effects of the atomic bomb and did pioneering research on micromollusks for monitoring the environment. Her research is still being used to monitor sewage outfalls here, Kawamoto said. Kay loved teaching and taught a popular general science class on Hawaiian natural history, said Sheila Conant, chairwoman of the zoology department at UH-Manoa. "She felt it was important for good scientists to teach classes to beginning students so they would be inspired," Foster said. 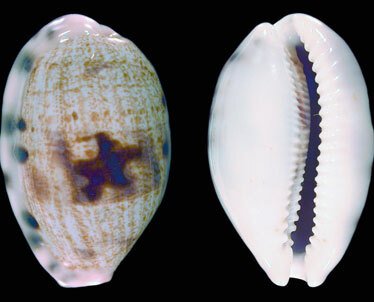 The cowrie shell Cypraea alisonae, which was named for her. A Punahou School graduate, Kay got a bachelor's degree from Mills College. She was a Fulbright Scholar and earned another bachelor's and her master's from Cambridge University in 1956. She came home to UH-Manoa, where she received her Ph.D. a year later. As a researcher and faculty member, Kay served as dean of graduate students, department head and in leadership positions on the Faculty Senate, Conant said. She retired in 2000. Kay was an original board member of the Save Diamond Head Association, formed to protect the landmark from development, and lobbied the Legislature to make Diamond Head the first state monument, said fellow board member Luci Pfaltzgraff. "She was our leader," said Sid Snyder, another board member. She got involved because of "her extreme love of the ocean and preserving the natural habitats and sights of Hawaii," Foster said. Kay's shell collection is being donated to the Bishop Museum and several universities, Kawamoto said. Kay is survived by brother Gordon. Foster said services are scheduled for 5 p.m. Wednesday at Punahou Chapel. In lieu of flowers, donations are suggested to Punahou School, Mills College or the University of Hawaii. » Jobless pay in Hawaii first in U.S.